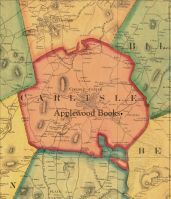 Applewood Books: Charlie on the M.T.A. -Children and adults will learn interesting and fun facts about Boston and its neighborhoods! -"The MTA Song" is entrenched in Boston lore, and reappears in popular culture regularly. -America's first subway opened in Boston in 1897. -The MBTA is the fifth largest mass transit system in America, with an average weekday ridership of approximately 1.3 million passenger trips. This includes trains, trolleys, and buses. Do you know why the transit fare card in Boston is called the CharlieCard? 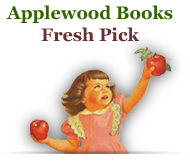 Young readers will find out, and should bring an extra nickel along, when they hop aboard the “T” to follow Charlie through the streets of Boston in 1949. 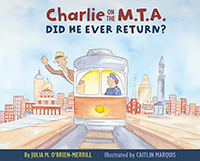 The full-page magical illustrations of Caitlin Marquis will take readers on a ride above and below the streets of Boston as they were in Charlie's time, zooming past familiar landmarks—many still standing, some long gone—wondering all the while, will Charlie ever return? Julia M. O’Brien-Merrill sets the story straight using original historical documents and the original M.T.A. song lyrics of the mayoral campaign song, written by Bess Lomax Hawes and Jackie Steiner, for her father Walter A. O'Brien, Jr. A timeline at the end of the book has juicy tidbits of Boston’s history surrounding this time-honored folk song, made famous by the Kingston Trio, and will inform and enthrall readers young and old.